This is a standardized "Type IV" Cleaver (14 cm long) from Tabelbala-Tachenghit in Algeria. The collections of the Institute of Humane Paleontology in Paris hold a large sample from Tabelbala, including large Cleavers and Handaxes (10-26 cm) and a series of smaller handaxes (6-10 cm). Large flake cleaver (Tixiers Type II, IV and VI) are abundant. 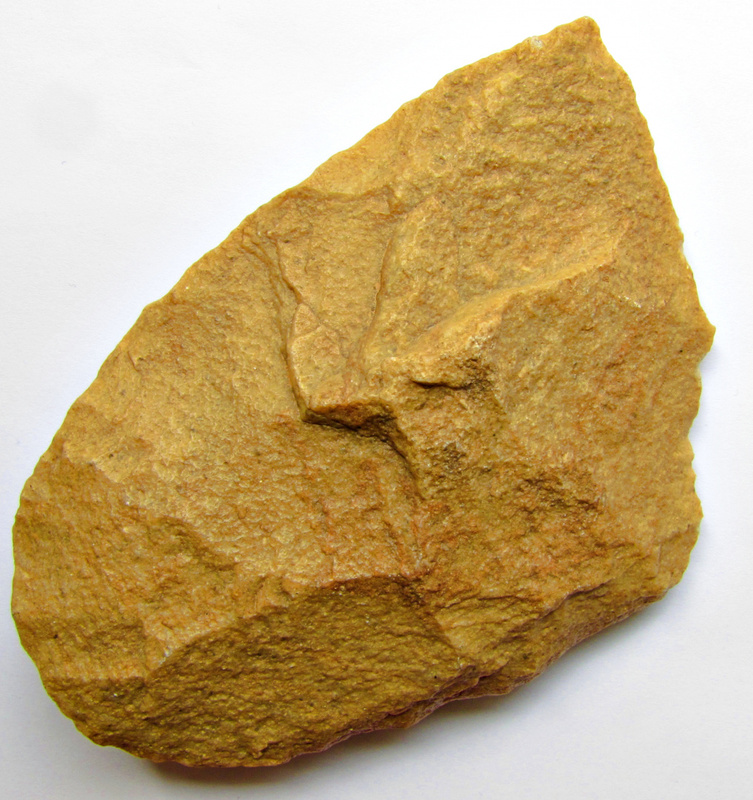 The production of Large Cutting Tools (LCTs; handaxes, picks and cleavers made from flakes > 10 cm) was present in Africa from almost the beginnings of the Acheulian technocomplex at ca 1,7 Ma ago until the MSA. Decennia ago Isaac described this innovation as a cognitive treshold in Human evolution. "‘It appears possible that a ‘threshold’ exists in stone technology, so that certain techniques are either present or absent and intermediate expressions are virtually non-existing. The tools and debitage of two assemblages may differ markedly as a consequence of application or non-application of only one specific technique: a possible example of this is the removal of blades with a punch. All African Acheulian industries of confirmed early Middle Pleistocene date involve the manufacturing of tools from large flakes (i.e. 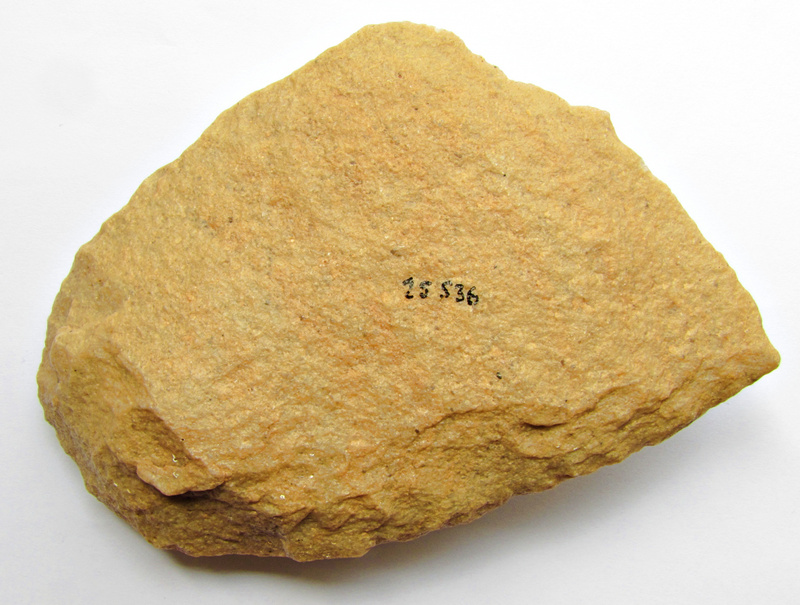 greater than 10 cm); whereas no series of flakes of this size have been reported from any Oldowan assemblage. It is suggested that the striking of large flakes involved the ‘formulation’ of a set of deliberate techniques quite separated from those used in the flaking practiced throughout the time span of the Oldowan” (Isaac, 1969). It has to be noted that LCTs in Eurasia are to be found not before approximately 1.5-1.4 Ma (Attirampakkam in India; Ubeidiya in Israel) . It has been argued, that the Levallois prepared core technique sensu Boeda (1995) was already present in nuce during the African Acheulian. The most prominent examples are from the Vaal River (Victoria West technique) in South Africa and from Tabelbala-Tachenghit. Specific prepared core techniques at these sites were especially used in the production of blanks for cleaver production. After detachment of the predetermined large flake, only minor modifications were necessary to produce the desired end product, a flake-cleaver. This can be assumed as another milestone in the evolution of knapping techniques. While a Middle Pleistocene age is assumed for Tabelbala-Tachenghit, new research on Victoria West cores excavated from the Canteen Kopje in central South Africa shows a high degree of planing depth in the production of LTCs at this site already about 1 Ma ago (Li et al. 2018). "(i) careful radial knapping of two hierarchically related asymmetrical surfaces; (ii) maintenance of lateral and distal convexities for the detachment of the predetermined preferential flakes; (iii) the sub-parallel angle of the large negative flake impressions in relation to the plane of intersection of the two core surfaces; (iv) the nearly perpendicular orientation of the striking platforms relative to the technological axes of preferential flakes; and (v) freehand hard hammer percussion for the final removals".